All weekday river trips require an advanced reservation. Weekend river trip reservations are highly recommended!! Fishing? We do vehicle spots! Call for details! Have your own Canoe or Kayak?....Let us Shuttle your Personal Watercraft $15 per item! Parmalee or Whirlpool to Rainbow Resort Landing all day on Mondays. Trip must be booked in advance. Welcome to Rainbow Resort Cabins and Canoe Livery on the quiet side of the AuSable River in Mio, Michigan. As your premiere Northern Michigan Canoe and Kayak Livery, we offer rentals along with a host of trips ranging from 1 1/2 hours to 3 days in length. 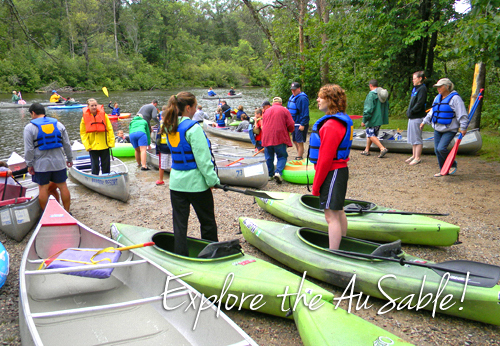 Take a couple of “sick days” or enjoy a weekend getaway to explore the beautiful waters and shorelines of the AuSable River! Call us today to plan your day, weekend, or week with us. Our Northern Michigan Kayak and Canoe Livery can accommodate all of your adventure needs. We have all the gear you'll need to experience Michigan's great outdoors!! 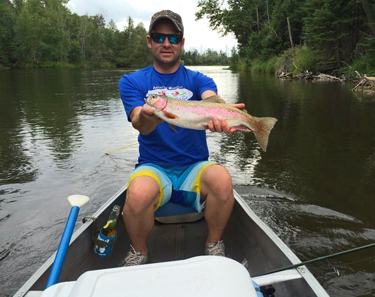 Peaceful River Trips on the AuSable! 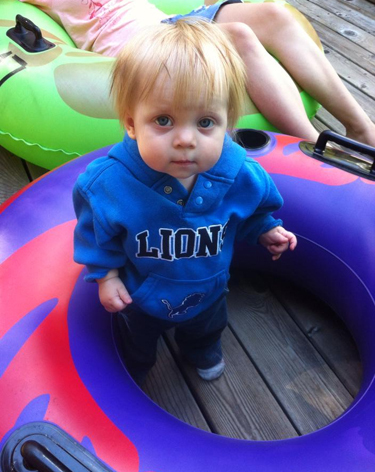 Here on the quiet side of the AuSable River, we have an abundance of wildlife. Our guests have seen mink, loons, deer, ducks, turtles, river otters, bald eagles diving for fish, and beaver. An early morning paddle is our favorite; there are so many more birds and forest critters along the water's edge when you're the first one on the river. 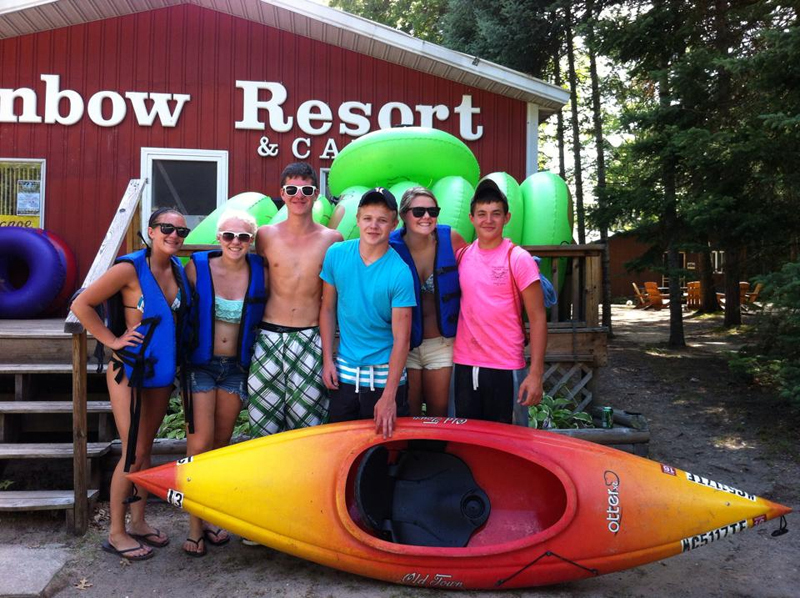 Rainbow Resort can provide guests of all ages with an adventure perfect for you, your family, and friends! Our most popular trip, 'the three hour tour' finishes at Rainbow Resort Canoe Livery Landing where you can walk to your cabin or vehicle when finished. It's the perfect length for a half-day trip or evening paddle. You can also take your time and turn it into a full day of fun on the river. This is our shortest trip at 1.5 hours and it finishes at the Rainbow Resort Canoe Livery Landing. You'll see spectacular views and perhaps catch a glimpse of the wildlife that lives along the water's edge. If you have the time, try the McMaster's Bridge trip; it begins on the mainstream of the AuSable River and ends at the Rainbow Resort Canoe Livery Landing. A full six hour trip, you'll want an early start so you can stop along the AuSable River for a bit of exploration. Take your time - you've got all day! For those that want a short trip on the AuSable River and don't want to paddle, this 1.5 hour trip starts at the Parmalee access site and finshes at the Whirlpool access site where you'll be picked up by one of our courteous Rainbow Resort Canoe Livery drivers. This 4.5 hour trip starts at the McMaster's Bridge in Crawford County and finishes at the Whirlpool access site where you'll be picked up by one of our drivers. The nine hour trip begins at a picturesque wood-planked bridge on the South Branch of the AuSable River. 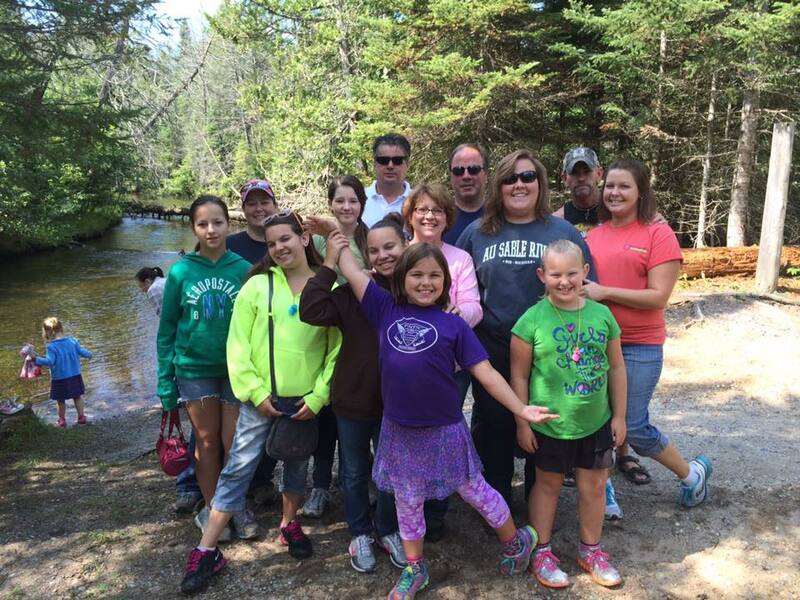 Some of our guests thoroughly enjoy every aspect of their up-north adventure by making it an overnight trip and camping along the AuSable River. Chase Bridge - Overnight Trip The Mason Tract, on the South Branch of the AuSable River in Roscommon County, is the most natural and secluded section of the AuSable River. Canoe this stretch and feel as free as the water as it carries you through a gorgeous backdrop of the northern backwoods. This trip starts at the Chase Bridge and is a thirteen hour paddle back to the Rainbow Resort Canoe Livery - perfect for an overnight canoe trip! 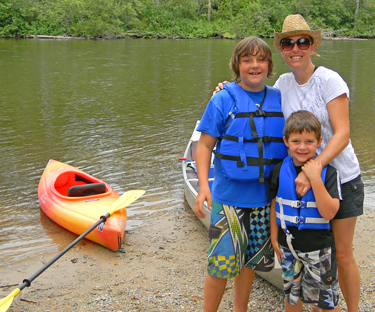 Tubing- When it's too hot to canoe the AuSable River, try tubing! Relaxing, refreshing, and sometimes invigorating, tubing allows you to put your feet up and breathe easy. We have a two and a half hour tubing trip from Parmalee Bridge to the Whirlpool Landing. The Rainbow Resort Canoe Livery uses only dual-chambered commercial rental tubes - with and without bottoms. Commercial cooler tubes are also available for $12 each. We can transport some types of personal tubes and the cost is $15 per person. Rates based on 2 people per canoe - $3 additional passenger. Price includes transportation, paddles, and cushions or life preservers. $10 per watercraft deposit required for all reservations and is applied toward the cost of the trip. Rain checks issued only for dangerous weather. Glass bottles and Styrofoam containers are prohibited. Additional fee for failure to reach destination. Alcohol limit of one six-pack per canoe.